Toddlers have a way of making the most simple and ordinary tasks a lot of fun. Because they are so excited by the little things in life, they bring so much energy and vitality to everything that they do. When I include my little guy in my activities of daily living, then chores become adventurous and entertaining. For me, washing windows is just another thing on my to-do list. But for my son, it is the most exciting thing in the world. He has so much fun handling a squeegee and a large bucket of cleaning solution outside in the fresh air. Cleaning windows on the inside is just as much fun with a spray bottle and cloth. Because he likes to be included in whatever I do, I was motivated to find a natural cleaning solution for windows that wouldn’t irritate his sensitive skin and that also would not leave any unusual scents lingering after we finished. 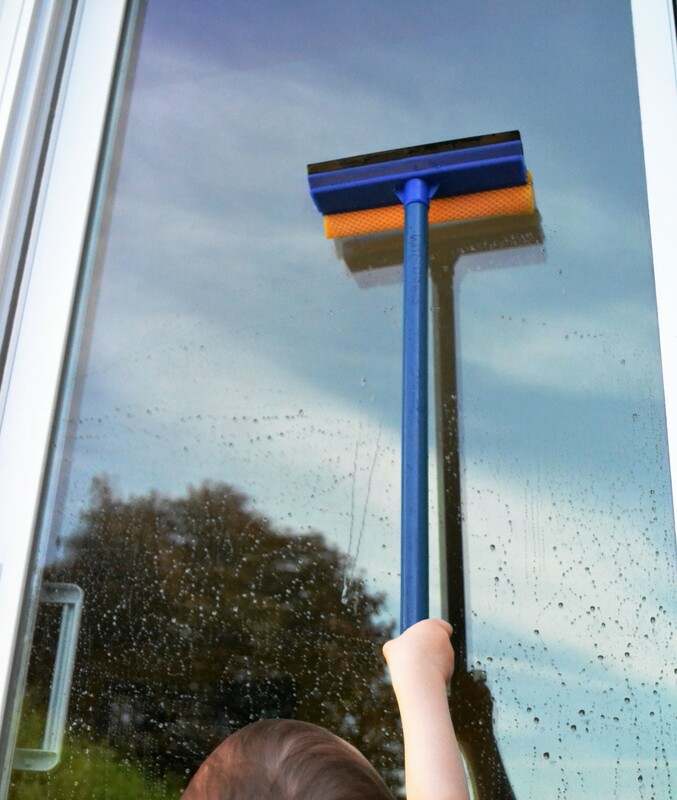 As it turns out, the old-fashioned way of cleaning windows with vinegar and water is easy, simple, cost-effective, and hypoallergenic. Combine 1 part vinegar with 8 parts water in a pail or spray bottle and let the fun begin!